Since they returned to the Premiership in 2013, things haven’t exactly been plain sailing for Newcastle. Indeed, both this year and last they’ve been a trendy pick for relegation at the start of the season. And yet, somehow the North East’s only professional rugby club managed to dodge the drop, even when things were looking very bleak last year and with the London Welsh clown car farce speeding merrily towards the relegation precipice, the Falcons look to be pulling off another escape this season. 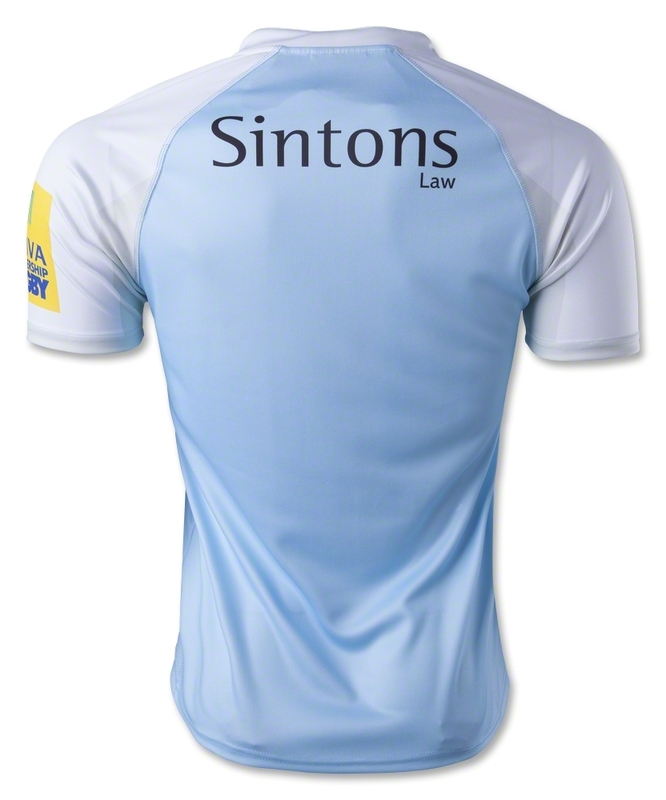 It’s fitting then, that a new period of (relative) stability at the club should coincide with a new shirt sponsor. After wearing a rather bland effort from Orion Sports (who?) 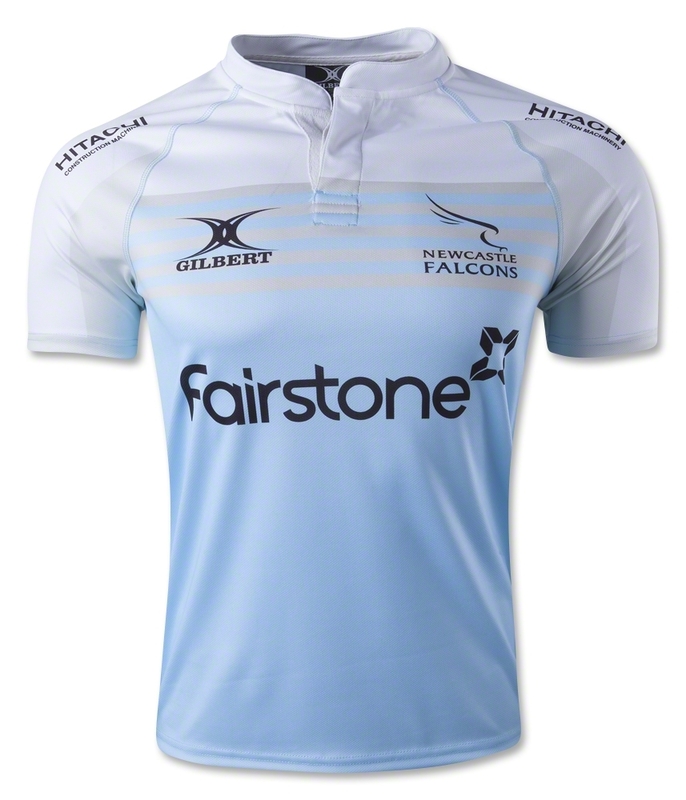 last year, the Falcons are back in the semi-big time with two new kits supplied by rugby ball-making institution Gilbert. 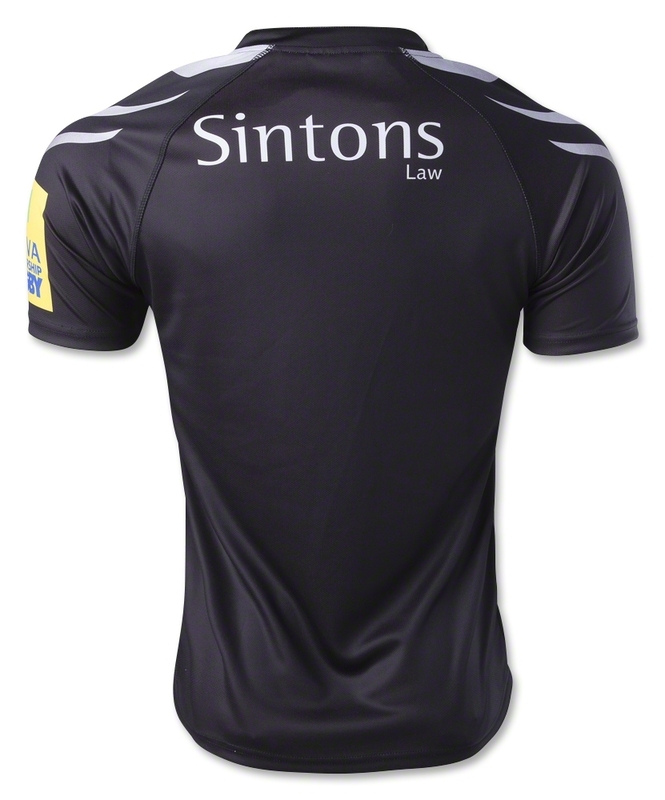 We’ve not been too kind in our reviews of many Gilbert shirts that have crossed our paths in recent years, but credit where credit’s due, because you have to say this is a rather nice design from the Rugby-based company. It’s sleek, clean and modern, keeping the ornamentation and faff to a minimum – just those swathes of grey-fading to black on the shoulders. As we move around the back, we can see the grey stripes are actually designed to emulate the wings of the falcon on the club badge. It’s a very subtle, very clever little touch, that elevates it from the ‘plain black t-shirt’ blandness of last year’s design, without getting too tacky or busy. The alternate shirt has substantially more going on than the home shirt, but we think it’s an equally good-looking design. The colour-fade shirt is pretty popular this season – the Ospreys, Cheetahs and Scarlets have all used it in some way or another, but here it’s been used slightly differently. There’s a definite fade effect going on here, but rather than actually fade the blue into white, they’ve instead used a bar of horizontal light grey stripes across the chest to give a sort-of fade effect. It’s a really nice, really modern and really cool design. We wouldn’t have thought blue, white and light grey together on a shirt would really work, but this proves us quite comprehensively wrong. Well, this is something of a turn-up. 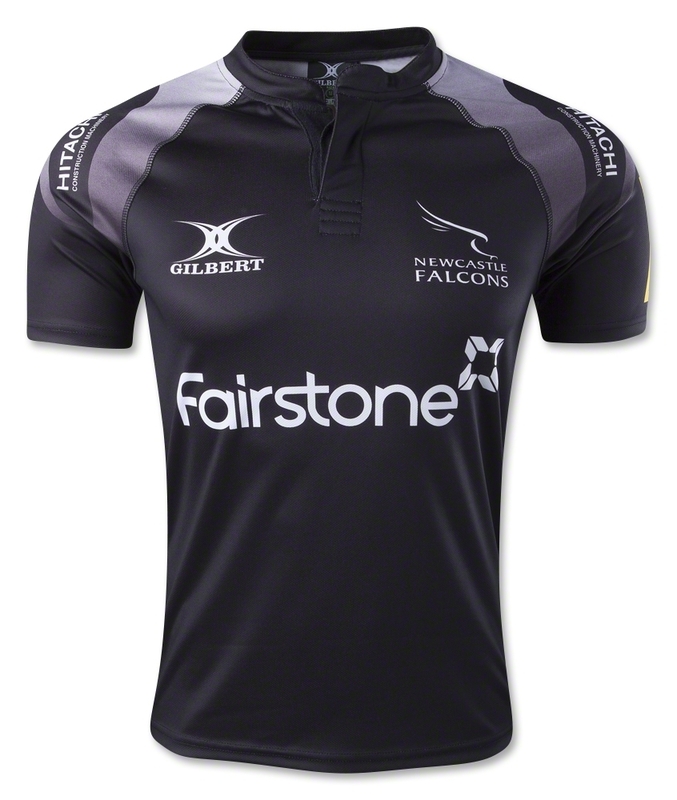 For the last few years, Gilbert’s few forays into the rugby shirt world have looked painfully out of date compared to the classic and cutting-edge designs turned out by the likes of Canterbury and BLK, but with these two new Newcastle kits, Gilbert has shown that its designers are capable of making a jersey that doesn’t look like it was done in 2004 – here’s hoping they carry on this trend.